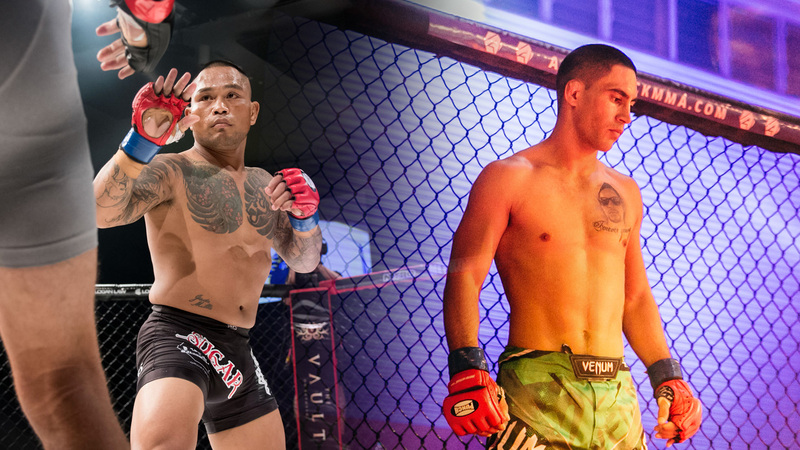 An eclectic match-up between two well versed Australian veterans takes Aftershock 30 to boiling point with Darwin ‘Sugar’ Sagurit and Kairin ‘Now You Know’ Moses vying for the bantamweight championship. The fight is one of the better offerings for the bantamweight stylistically that can be put on tap with the current reserves of Australian talent. Both boys enjoy a slug and strike type of game and stand more than willing to indulge the other on the feet in an attempt to leave very little doubt in the minds of the Gladstone crowd. The judges? They can take the night off. 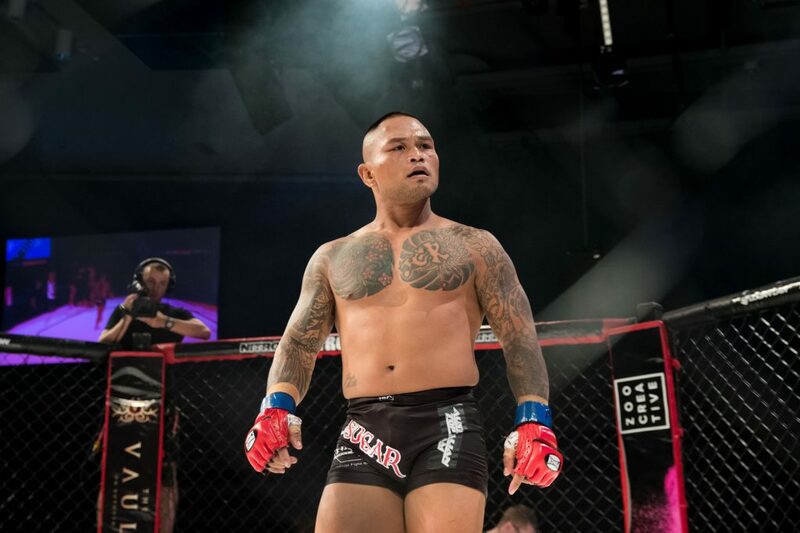 Sagurit has scorched a warpath from 2010 until his recent win over Aussie MMA legend, Jai Bradney, in April of this year. The Sydney based striker has no issue with travelling north to meet the home-town-hero and play in his backyard if it means taking the strap home and launching his profile into the stratosphere. Knock out artist, Darwin Sagurit. Photo courtesy of Nitro MMA. 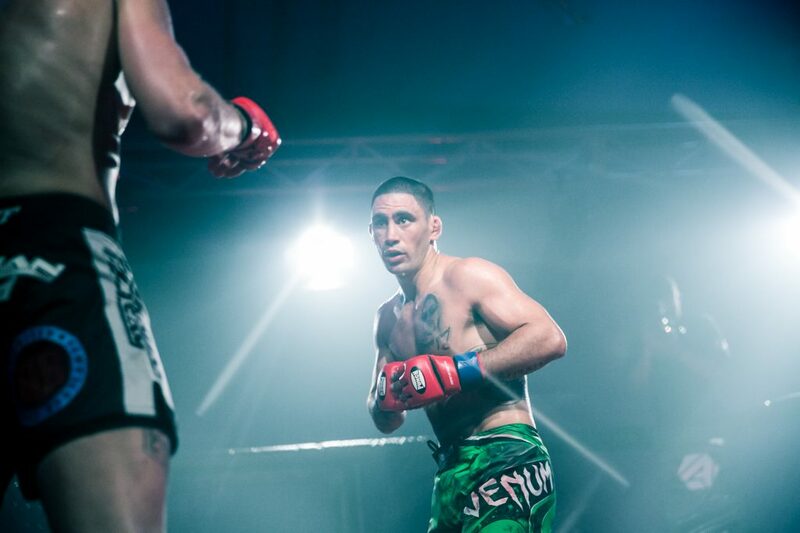 Based out of Sydney’s prolific ATT gym, Sagurit has turned a stuttering start of a career into a full-fledged force of fistic fury with numerous campaigners trying to take the onslaught of Sugar, and left with a bitter taste for their trouble. The appeal he offers is the Tyson variety. A no compromising old school throwback to the heavyweight power punchers who could rob an opponent of their consciousness. Compact that into a tiny frame and you’ve got the force of a freight train crammed into the space of a mere man who seems blessed with the ability to determine your bed time like an overbearing step-father. That’s all well and good, however….. If he weren’t fighting a man with distain for the punishment an opponent can give, or even relish in it. You see, Kairin Moses has been 50% of a few wars with men who either withered under relentless pressure or who took a win and left a piece of themselves behind in doing so. Kairin Moses is a high-tide providing waves in the form of furious flurries without a step taken back or lonely regard for the wellbeing of an adversary. Kairin Moses finds familiar grounds in another attempt to capture the Aftershock bantamweight belt. To fight someone like that you’d prefer to have every factor in your favour, especially home town advantage. If you’re fighting a man with more mongrel than meek, can you imagine what it’d be like to hear the crowd give this guy even more gusto? Every shot landing on you gets a roar and the shots you hand back are eaten and spat out while one returns like a boomerang of leather and knuckles. This is one for everyone. If you’re a casual observer of MMA or a die-hard fight fiend, people will understand that these boys are handing each other a high dose of shaken brain all to be the next champion within the bantamweight limit.